IAM member John Snoddy lost his short battle with cancer on the morning of Thursday, October 6 at his home in Alexandria, VA. He passed alongside his loving wife Sherry. 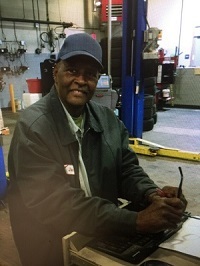 Snoddy, a member since 1986, joined Local 1486 as a Master Technician at Avis Rental Car in Alexandria, VA. Snoddy held several positions within the IAM, including Local 1486 Secretary Treasurer, District 4 Delegate, Maryland State Council of Machinists Delegate and Shop Steward. Snoddy was always willing to share his wealth of knowledge about the labor movement to anyone willing to listen. He stood up for IAM values—justice on the job, service to the community—whenever necessary. A funeral service will be held on October 10 at the Everly-Wheatley Funeral Home, 1500 West Braddock Road, Alexandria, VA 22303. Viewing: 12-2 p.m., Service: 2 p.m.